My boyfriend and I spent yesterday and this morning in Montreal, where we did a lot of shopping and saw Coldplay's concert, which was absolutely amazing! We had a great time, and cannot wait to visit Montreal again, it's a beautiful city :) We visited Tiffany's this morning, which was my first trip to a free standing store! I've had my eyes on a few different items, so I thought I'd share my cravings with all of you! 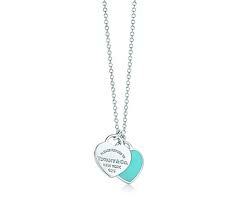 Return to Tiffany™ Double Heart Tag Pendant - $140 CDN - I really love that this necklace includes the "Return to Tiffany" and Tiffany blue elements. This is such a simple piece that it could be worn everyday. 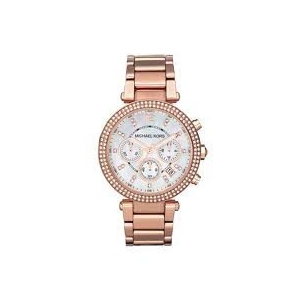 Michael Kors Mid-Size Rose Golden Stainless Steel Parker Chronograph Glitz Watch (MK5491) - $300 CDN - I have been lusting over this watch for so long, I don't know how it hasn't come home with me yet. I think that it is just gorgeous, a classic piece that will never go out of style. 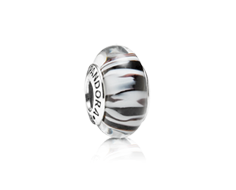 Pandora Zebra Print Silver Charm with Black/White Murano Glass - $40 CDN - Pandora recently released a collection of animal print Murano glass beads. I love zebra print, so this is the one that caught my eye :) I have 6 charms on my bracelet, and I'm wanting to slowly complete it. 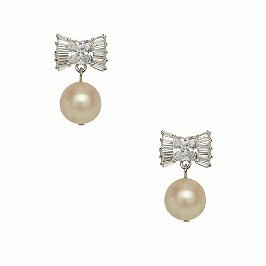 Kate Spade Le Soir Bow Drop Studs - $98 CDN - I love pearls, and I think that these earrings are so cute! I love the drop style, I think these are so girly and elegant. YES! My Boyfriend took me into a Tiffany store for my birthday present and I saw that exact pendant! It lured me in, but I was too polite to tell my boyfriend i really liked that one item, and we walked out empty handed. I've been kicking myself ever since! I love the rose gold too, so classic! 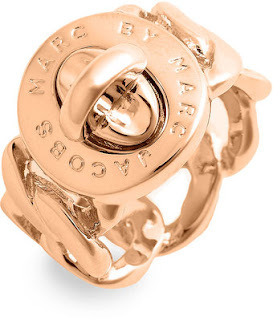 My favourite Tiffany and Co. item is the bubble ring, although it has a huge price tag, $10,500! I'll have to wait for a lottery win to fulfill that dream. The Kate Spade earrings are so cute! Now this is a jewelry wishlist! Love everything and hope you get everything on your list!